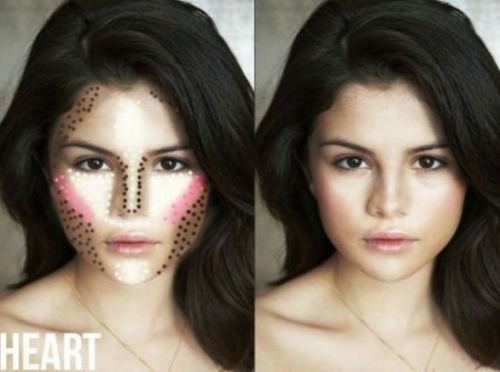 There are endless makeup tips and ideas which every girl needs to know. Here are the top 10 makeup tips you should learn right now and use them immediately, as these tips will make applying cosmetics much easier and will change your life. 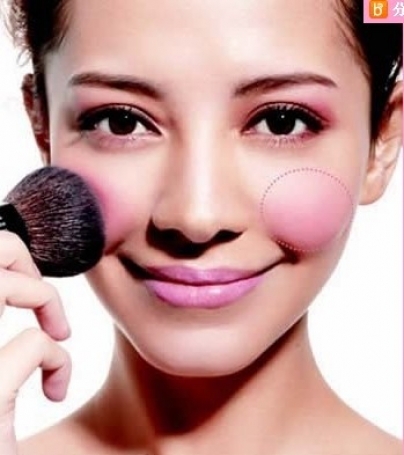 Apply blush according to your face shape to get a rosy cheek look. If you apply color to certain spots, you can make a round face longer, a long face shorter, and soften angular features. Consider the below tips when applying blush. - If you have long face shape, you should apply blush on the apples towards the ear to widen your face. 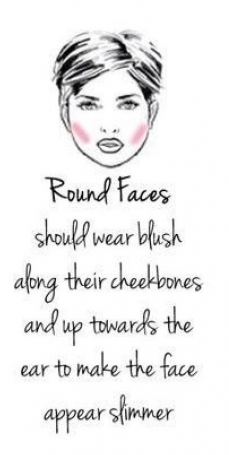 - For oval face shapes, apply blush on the apples of the cheeks and sweep upwards for a natural look. - To slim a round face, apply your blush around cheekbones and blend from the apples towards the temples. 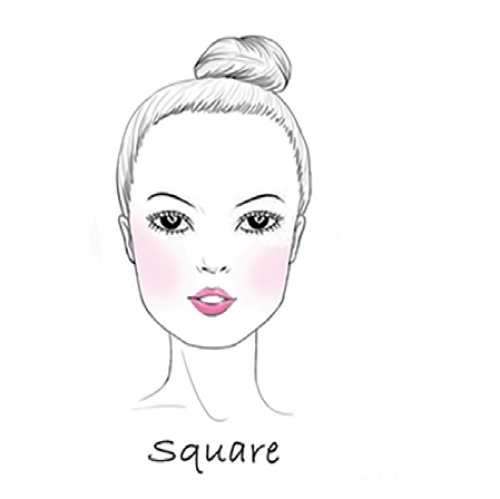 - For softening angles of square face, apply blush on the apples of the cheeks. - For heart shaped face, apply blush to the outer corner of the cheekbone. Start doing this from your ear and end at the outer corner of your eye. This will help you to soften the edges so that the heart shaped face will look more like an oval one. - For balancing the width of the forehead of triangular face, you should blush in a sideways V on the cheekbones. 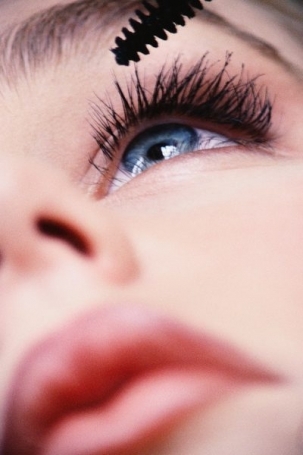 For making your eyes look wider and the lashes look fuller, sweep the mascara towards your nose. 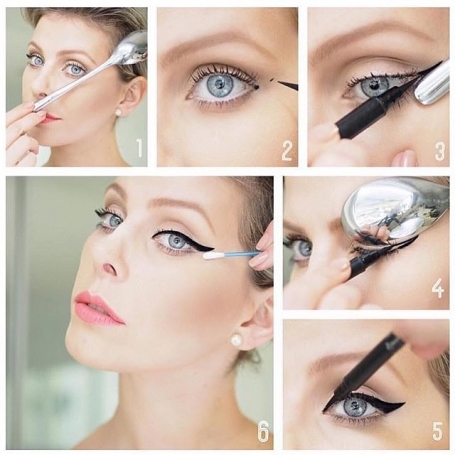 You can achieve perfect winged eyeliner with a spoon, just press the rounded side of the spoon against eyelid and move the spoon outwards to create winged eyeliner. 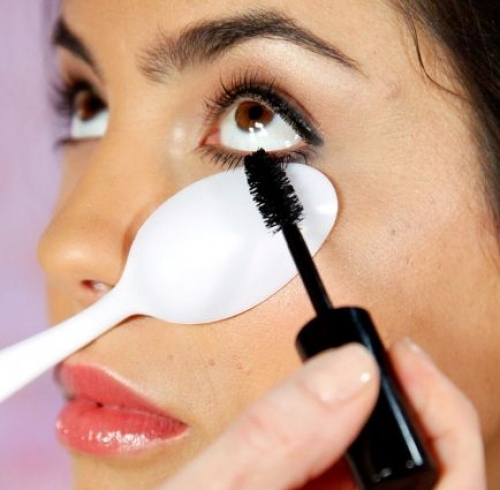 If you do not want to get mascara on upper eyelids, use a plastic spoon while applying it. 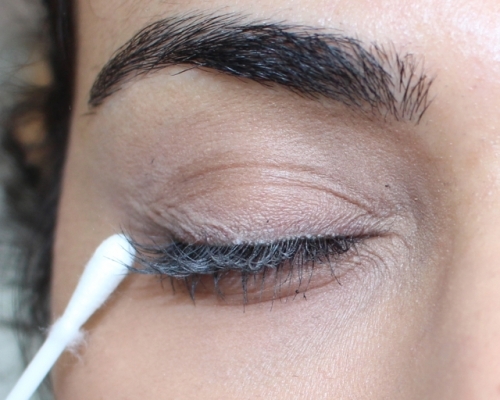 For plumping up your lashes, just dust some powder on them. 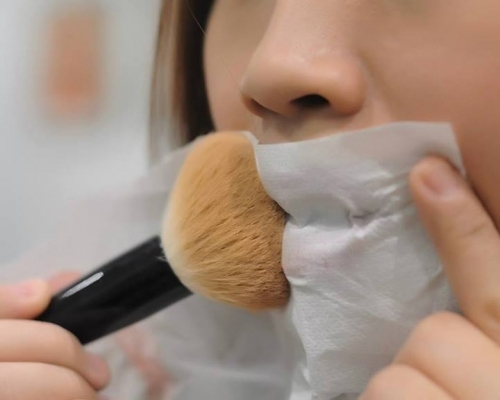 For long - lasting lip color, lay a tissue over your mouth, after that dust powder over it. This trick always works. 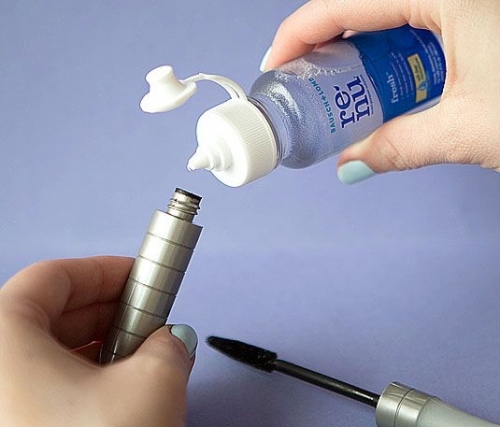 If you want your mascara last longer, just add a few drops of saline solution into the bottle of your mascara. Hit your eyelash curler using your hair dryer. 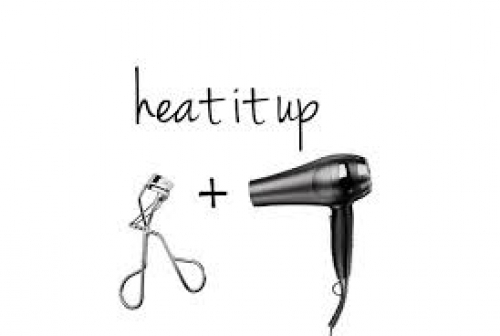 After cooling it a bit, curl your lashes easier. 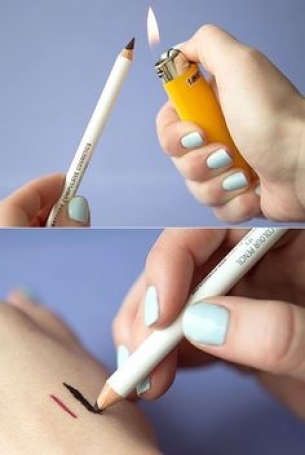 Use a match or a lighter to hit the tip of the pencil. Let it cool a bit and you will enjoy gel formula of your pencil eyeliner. The easiest way to contour is marking the areas for contouring with the dark eyeliner pencil. 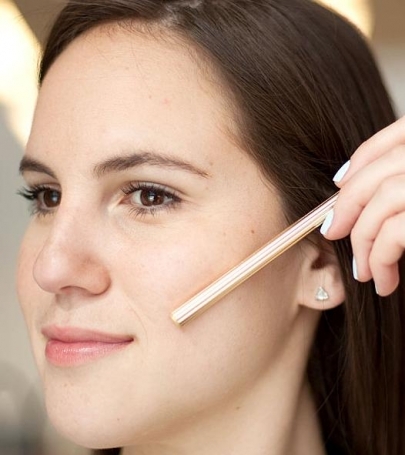 For getting the right angle of your face, use end of a makeup brush or a pen to find your cheekbones.